Becoming a reigning champion is the stuff of dreams for many people but not for India Wimple. She's terrified of standing in front of a small group, let alone a crowd. Besides, there's a little voice inside her head telling her she will fail. It doesn't matter that she's an incredible speller or that her family believe in her. It's never going to happen: that's what India tells herself. 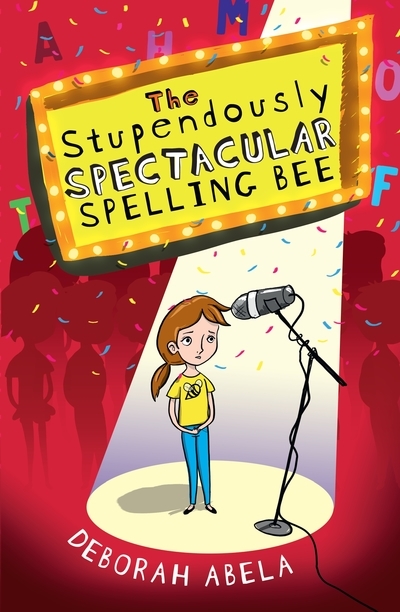 Be warned: this is not just a story about a spelling competition and a painfully shy girl overcoming her doubts and fears. Along with a world of interesting words, ruthless competitors and an unexpected friend, a serious medical emergency dots the path to the grand final. I loved the endearing characters of India, Boo and Nana Flo and the dramas emerging at every turn but above all I loved the heart of this tale. India's greatest discovery has nothing at all to do with spelling.